Applique patterns are fun quick crochet projects to do. Since it is getting so close to Easter, I decided to make a Crochet Bunny Applique Pattern. 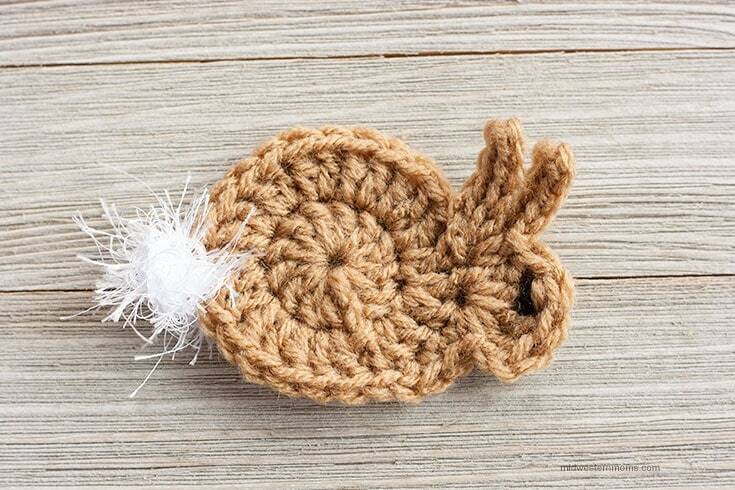 This crochet bunny is cute and very simple to make. It will only take about 5 or 10 minutes to make this bunny. I chose to work with a brown acrylic yarn for the body. But for the tail, I used fur type yarn. The tail did need a bit of a trim at the end but it turned out cute! Black yarn for the eye – Or you could use a small bead or button. Round 1: Starting with the magic circle, Chain 2, then Double Crochet 12 stitches. Close the magic circle. Join together with a slip stitch. Round 2: Chain 2. Double Crochet twice in each stitch around for a total of 24 stitches. Slip Stitch to join. HEAD: Chain 2. Triple Crochet 4 times into the same stitch. Chain 2 and slip stitch into the same stitch. Chain 5 and single crochet into the second stitch from the hook and continue back. Slip stitch to join in the same stitch. Chain 5 and single crochet into the second stitch from the hook and continue back. Slip stitch to join. EARS (2): Chain 5 and single crochet into the second stitch from the hook and continue back. Slip stitch to join in the same stitch. Chain 5 and single crochet into the second stitch from the hook and continue back. Slip stitch to join. 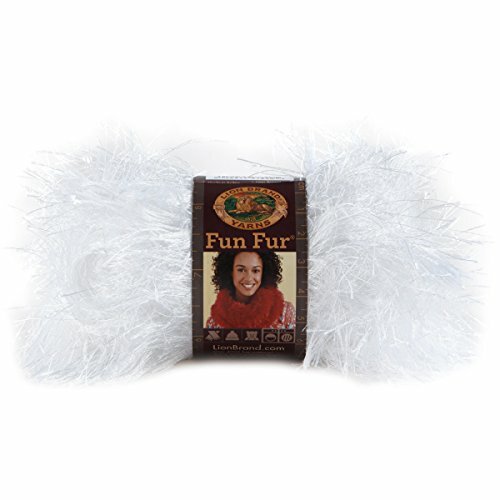 TAIL: Using the Fur Fun yarn, join where you want the tail to be on the bunny. Chain 2, Double crochet in same stitch 4 times. Chain 2 and slip stitch into the same stitch. Cut yarn and weave in the ends. Trim the tail with scissors. Add a small button or bead for an eye. Alternatively, you can use yarn or thread. 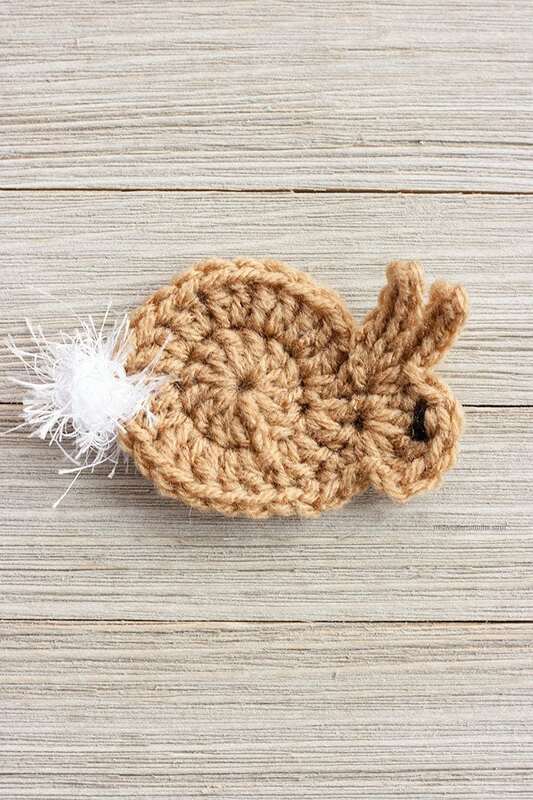 Enter your information below to snag your free printable crochet bunny pattern. An email will be sent to you where you can easily download and print the pattern. How To Crochet A Snowman Christmas Ornament – Can be used as an applique. This is such a clever idea & perfect for Easter.